Want to know what the Lord is doing right now, and how to pray strategically? If so, I have an encouraging word for you! By the way, if you are blessed by our ministry, would you prayerfully consider sowing into this ministry financially? We need your help to keep reaching people all around the globe for Jesus. You can give here via PayPal or sign up to be a monthly partner via Gumroad here. Thank you so much for your support! 1. Sit down immediately and make a list of what you want God to do for you in 5779. Be sure your list is in writing. You need to be able to refer to it often and pray over it. You need to be able to read it and run with it. Even the angels need to see it so that they can run when they read it. We must not be afraid of asking too much. 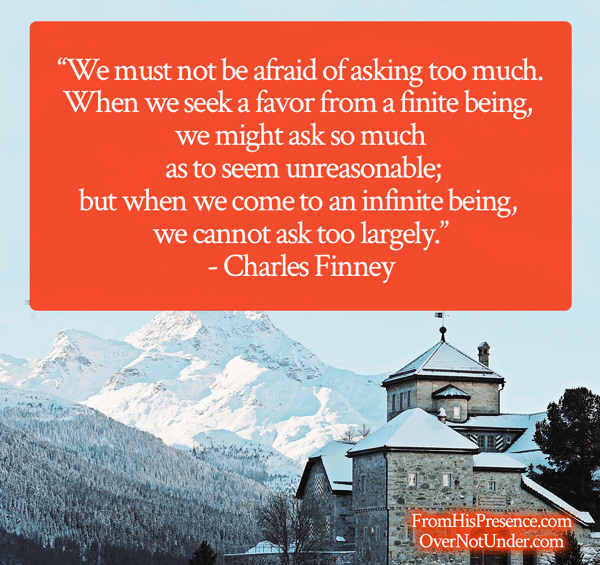 When we seek a favor from a finite being, we might ask so much as to seem unreasonable; but when we come to an infinite being, we cannot ask too largely” (from “The Reward of Fervent Prayer,” May 15, 1850). He was challenging me to ask for more. I wrote down a few things I need or want, but then I kept forgetting to push in. Each time I thought I was through–or when my mind wandered–Holy Spirit nudged me again. It was as if He was looking at my list and saying, “Come on. I need you to ask for more so I can do more. Help me out, please.” Holy Spirit wanted me to expect more and to cover more aspects of our life and ministry in prayer and holy expectation. He was prompting me to put a draw on His infinitude, His awesomeness, His eternal perspective and unspeakable power. The Lord wants YOU to ask for more too. Over the last several days, Holy Spirit has convicted me that so much more is possible than we, as Christians, have been believing for, wishing for, or hoping for. I believe He is challenging His whole Body in this area. So please, tune in to His nudging. Expand your possibilities and ask for exponential growth. 3. Claim Matthew 7:7-8 as you pray over your list. This promise is just one piece of legal evidence (out of many in Scripture) that you can lift back up to the Lord with your prayers. God always honors His Word. He has magnified His Word above His name, and it never returns to Him void. 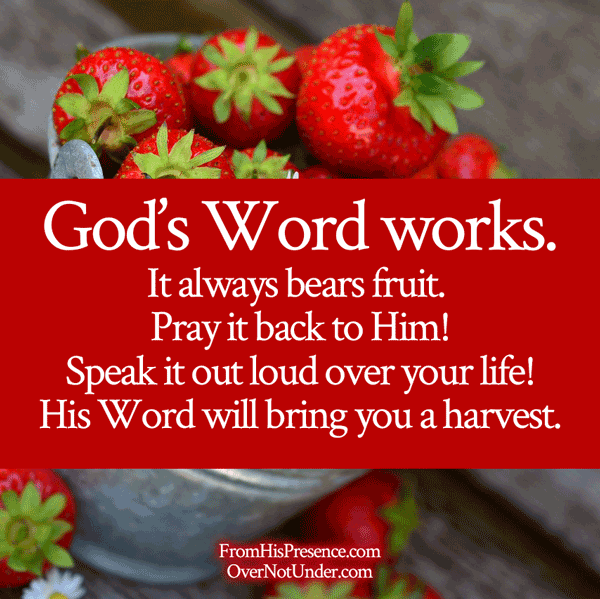 God’s Word works! So when you pray through your list, remind Him of His Word and tell Him you know He has to do what you’re asking because HE said He would! 4. If you expect something next year, begin to live it now. If you want to be a writer, you have to simply decide that you ARE a writer (read what one of my favorite writing coaches has to say about that here), then go ahead and begin writing. If you want a thriving speaking career next year, go ahead and do what popular speakers do now. Send the emails. Make the cold calls. Make the contacts. Do it now. If you want to become fit and healthy next year, begin cooking healthy food now. It’s always best to pre-determine your outcome before the target time period ever starts. Then, start living your goal now. When the target time period begins, you’ll already be in the space you’ve been dreaming of. Simple. Whatever you want God to do for you next year, work on it and prepare for it like it’s happening now … because as soon as you ask Him for it, it’s a done deal according to Matthew 7:7-8. You just have to execute the steps to see it come to fruition. 5. Ask God to enlarge your territory. that he would not cause pain to anyone. And because Jabez asked, God granted him what he requested. Father God is no respecter of persons. If He’ll do it for Jabez, He’ll do it for you. Do what, you ask? Why, grant you your request, of course–even if your request is for huge blessings, bigger territory, God’s hand to be with you, to be kept from evil, and to be a blessing and never to hurt anyone. He’ll do that for you. Ask and you shall receive, that your joy may be full. But have you asked recently? I don’t know about you, but I have only been asking a little bit. I’ve been so tired that I’ve been surviving, not dreaming like I should have. But Father God and Holy Spirit are waking me up to bigger dreams because time is urgent. If you desire to co-labor with God, ask Him to enlarge your territory. 6. Ask God to strengthen you in your inner man. Many of you have been so tired, as I have. In this time, we need to pray in the Spirit and also ask Father God to strengthen us in our inner AND outer man. Remember that it’s your spirit that communes with God, so don’t neglect the maintenance and upkeep of your spirit. 7. Ask Holy Spirit to bear more fruit through you for Jesus than ever before. Without Jesus, we can do nothing. But, with God, all things are possible. It is God who works in you both to will and to do for His good pleasure. So this month, double down and ask Holy Spirit to bear His fruit through you. Ask Him to fill you with love, joy, peace, longsuffering, kindness, goodness, faithfulness, gentleness, self-control, and even more good things (Galatians 5:22-23). Confess your natural inadequacy to Him, but also confess your faith that He can and will bear thirty, sixty, and a hundred times more fruit through you than He has ever borne before. Pray through the prayer directives above daily. Ask Holy Spirit to bring Jesus a harvest this month through you, and ask Him to bring you a harvest this month through Jesus. Pray big, pray with expectation, and pray often. You cannot ask too largely! Does this prophetic word for October resonate with and confirm what the Lord has been showing you? If so, please leave a comment below! I love to hear from you! Hi Angela, 5779 is the number of the Jewish year on the Hebraic calendar, which aligns with God’s calendar He prescribed in the Bible. It starts on Rosh Hashanah of each year and has been counted that way for 5,779 years. ? 2019 is a good time period too, but sometimes the Lord gives words for one time period and sometimes for another. When I mentioned 5779 above, I was talking about the Hebraic time period for year 5779 that just began in September. Blessings to you,I really needed this word.i felt that God was speaking directly to me. I have been going through a lot of difficulties in my life I needed this word today,it kept me from loosing my mind. Wow!! The past year has been a long, hard season for me. I’ve been standing on a promise from God for almost a year now. Last week, the Lord gave me Luke 18, more specifically the parable about the widow going before the judge daily to seek justice, the blind man who wanted his sight and how he was bold in asking for it and the verse that says, ” With man this is impossible but with God all things are possible.” I’ve felt He has told me a harvest is coming and I had a vision of a large, golden wheat field, with a portion squared off, wrapped in a bow with pink flowers. And I heard the harvest is ready. This is just confirmation for what He has spoken to me. Praise God! Believing for a MIGHTY miracle to come to pass this month! I’m going to hang on to this Word! It’s been a trying season. 5 plus years of a Job experience and seeking God for a lot right now! I’ve felt almost like giving up so many times. Seeking the Lord for many breakthroughs! Thank you for this word. It encourages me! May the Lord replenish you Janie 100 fold!!!! You give out so much that I just want to make sure that you stay replenished and fresh!!! Yes, this Word , so resonates with me!!! I made my lust in my prayer journal and I am expecting the Lord to show up and show out in my life and that He gets all the glory and honor in the Mighty and matchless Name of Jesus!!!!!! Please excuse the typos. In my previous post. I made my List, not my lust!!!!!!! Our family shattered 10 years ago when two children abruptly moved away from what we thought was an on-going family project. We have not heard a word from one of them in that decade. This past week, our two oldest children returned for the first time with their families. The joy and love that flowed for those two days were indescribable. The crowning joy for me was when our oldest son, who had abandoned his faith, spent two hours asking faith-oriented questions as we drove to the airport. God promised me that He would bring about reconciliation. I know now that He has far more planned than I could have asked or imagined. Your teaching today is exactly right, both as affirmation for what God is doing and as leading for preparation as to what comes next. Thank you! May you bear lightly the mantle of His gifts in you. God bless you richly Jamie. May your cup never run dry. I am blessed, and encourage with this heavenly message. By this message, it’s a new day to me. I thank the Father Almighty for your life. Thank you very much for allowing God to use you as a vessel to reach out to his people. I am do blessed by your sharing – always in sync with my inner being. Hallelujah ? pray for me sisters that the Lord will increase my Faith and Expectations from Him! To fill me anew with the Holy Spirit to be able to live a life pleasing to Him. To bring fruit for the Kingdom of God 100 fold by God’s grace ? Amen! God bless you all ? As I was reading this something came to my mind, and I thought can i ask for that?? Seriously? And the answer was yes that’s not even hard. Wow…..
decided not to pay me 40% of the money I worked for. I am asking God to help me recover all this money without a fight. I trust and believe that He will do it for me. Hi April, 5779 is the number of the Jewish year on the Hebraic calendar, which aligns with God’s calendar He prescribed in the Bible. It starts on Rosh Hashanah of each year and has been counted that way for 5,779 years. ? 2019 is a good time period too, but sometimes the Lord gives words for one time period and sometimes for another. When I mentioned 5779 above, I was talking about the Hebraic time period for year 5779 that just began in September. HI JAMIE, THANKYOU FOR THAT ENCOURING WORD, YOU ARE SAYING WHAT THE FATHER GOD IS SAYING GOD BLESS YOU ALWAYS AND I WILL START HELPING SOON! THANKS SIS, I LOVE YOU,AND WHAT GODJESUS, TELLS YOU! AMEN!!!!! Why does it say the year 5779? Is it supposed to be 2019? Hi there! No, 5779 is the number of the Jewish year on the Hebraic calendar, which aligns with God’s calendar He prescribed in the Bible. It starts on Rosh Hashanah of each year and has been counted that way for 5,779 years. 🙂 2019 is a good time period too, but sometimes the Lord gives words for one time period and sometimes for another. When I mentioned 5779 above, I was talking about the Hebraic time period for year 5779 that just began in September. 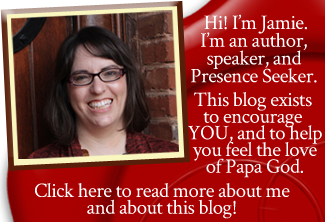 Thank you so much for this blog Jaime. I thank God for using you the way he has. For some strange reason, God has been speaking to me through you that’s why I always look forward to see what is coming up next on your blog. “May He continue to bless you as place your life in His mighty hands. Jaime your awesome blessing to people of God. By prophesying the truth of their lives .May God enlarge your territory and may holy spirit leads you in deeper level of God’s presence. Thank you this encouraging word. So blessed by your message…trusting in God’s word..”And I will restore to you the years that the locust hath eaten, the cankerworm, and the caterpillar, and the palmerworm, my great army which I sent among you” (Joel 2:25)…praying for close relationship with Jesus, what God has called me to do, restoration of my loved ones, financial provision, health….thank you! Thanks Jamie. Am simply too overwhelmed on all fronts but i have never doubted that God will always come through for me and my family. Am getting back to asking.